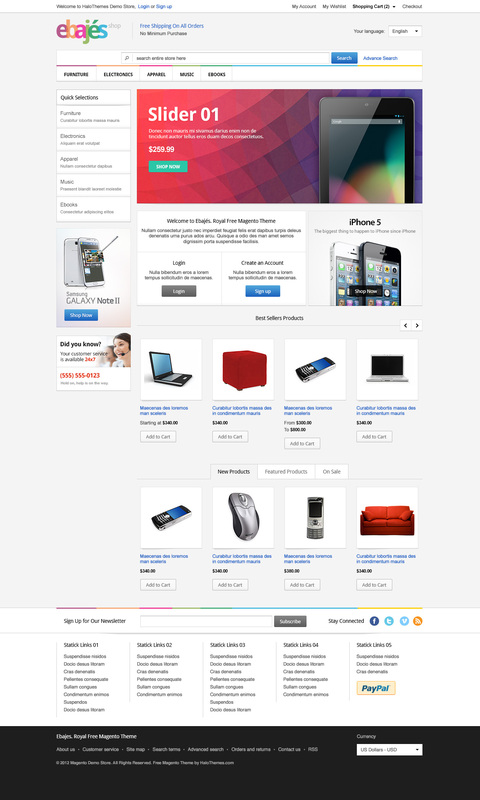 And here, we would like to introduce one more brand new free magento theme: Ebajes – Free Responsive Electronics Magento CE Theme. 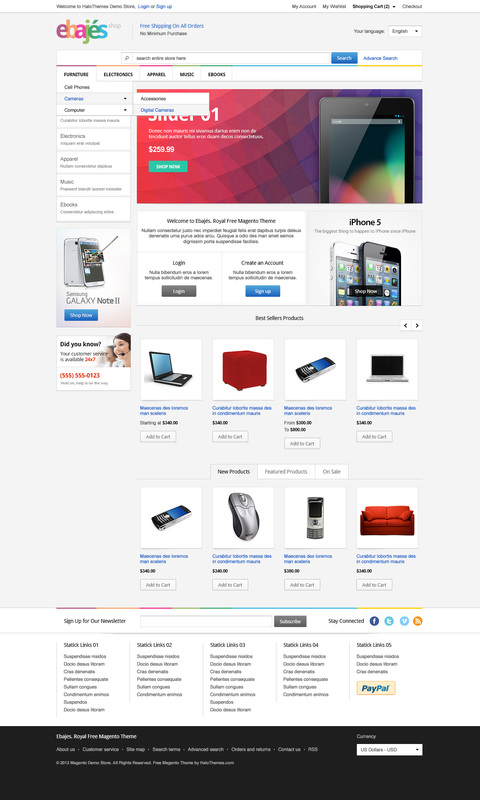 The theme is for free; still, it owns a clean, elegant and high-tech look, which is meant for Computer Store, Laptops Store, Electronics Store and Hi – tech Store. 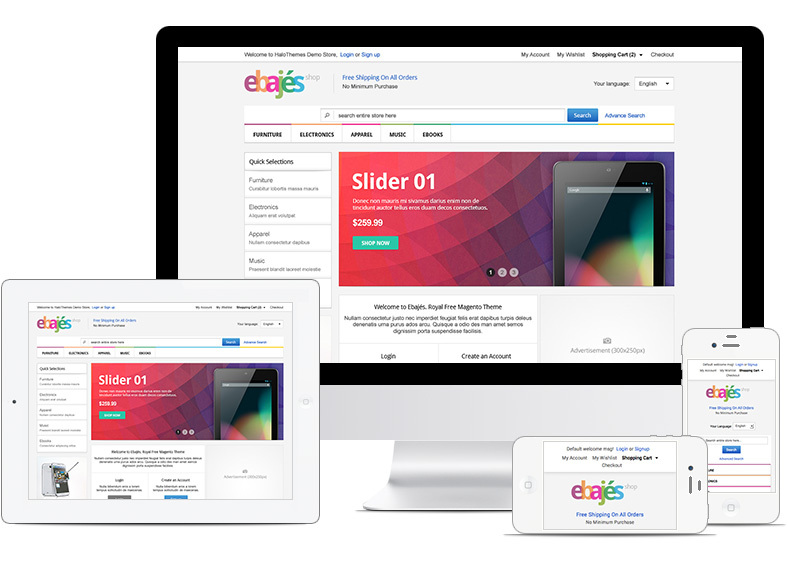 Ebajes brings quite an experience with nice features like Responsive – preserving perfect compatibility with current browsers, and work well with tablets and smart phones as well. What’s more is a nice slideshow to show off the newest and hottest products, promotion banners or anything you want to highlight. 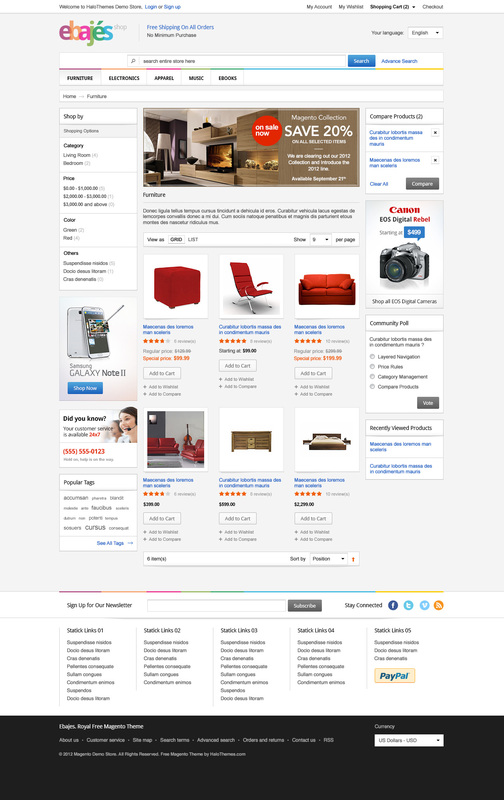 Besides, we provide you with amazing extensions, which is HaloThemes – Filter Products Widget Extension and Halothemes – Images Slideshow Extension. 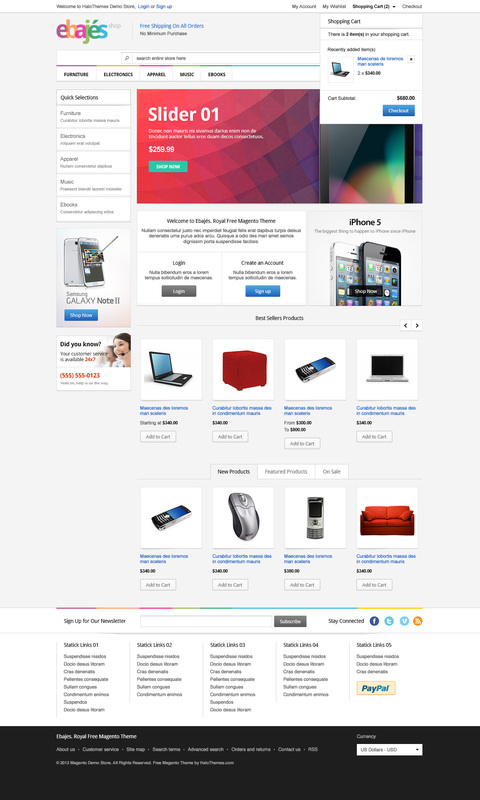 This is a FREE theme and we have released it as it is under the Creative Common License. This theme does not include any support. 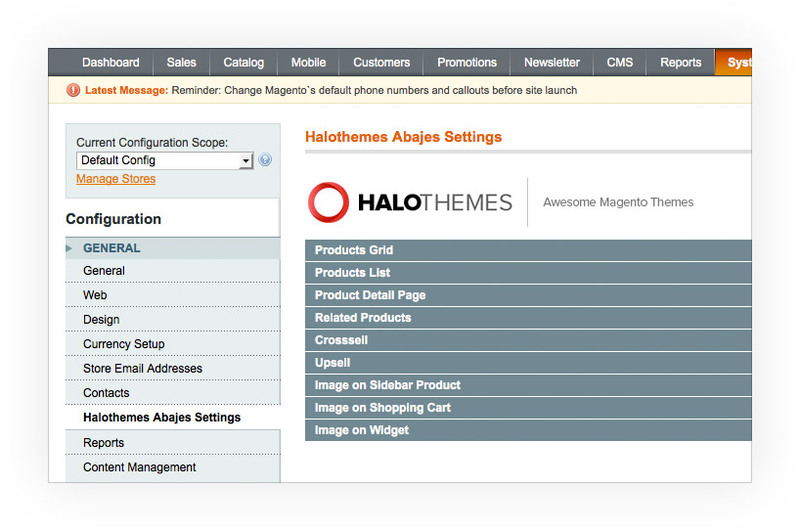 Support is only available to HaloThemes members only. E-mail and comments will be ingnored if requesting for support. 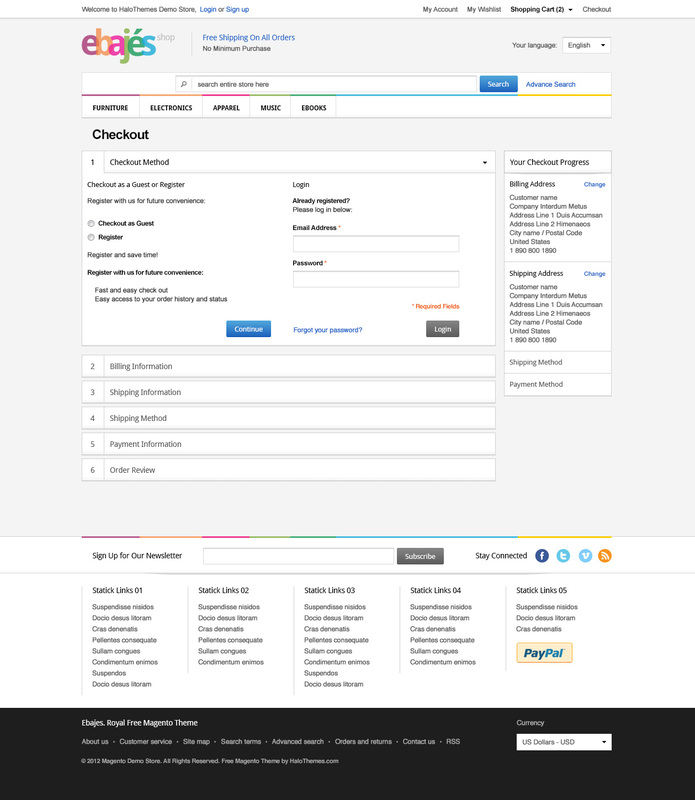 For support questions you will need to pay one of the options. Please, find out more by viewing our pricing details. 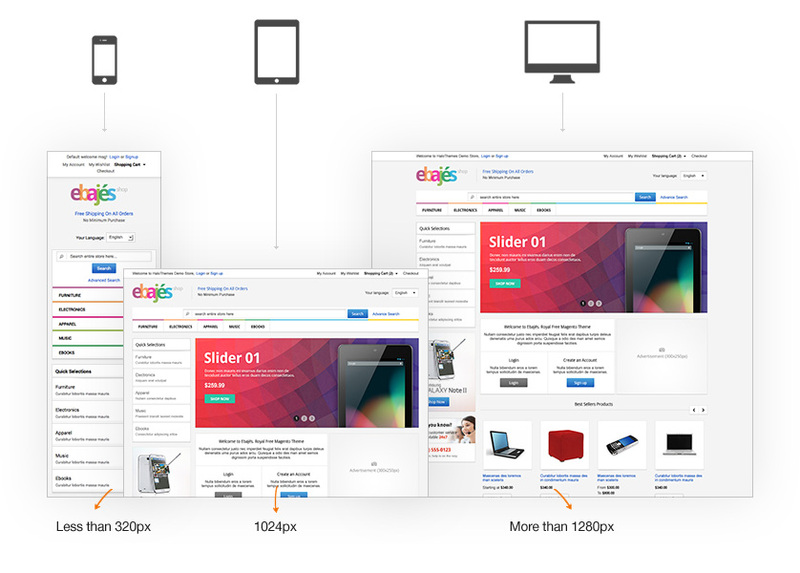 Create image slideshow widget instance and display on any position. Configure slideshow effect, auto sliding, thumbnail, text, navigation… 20 plus transition effect. 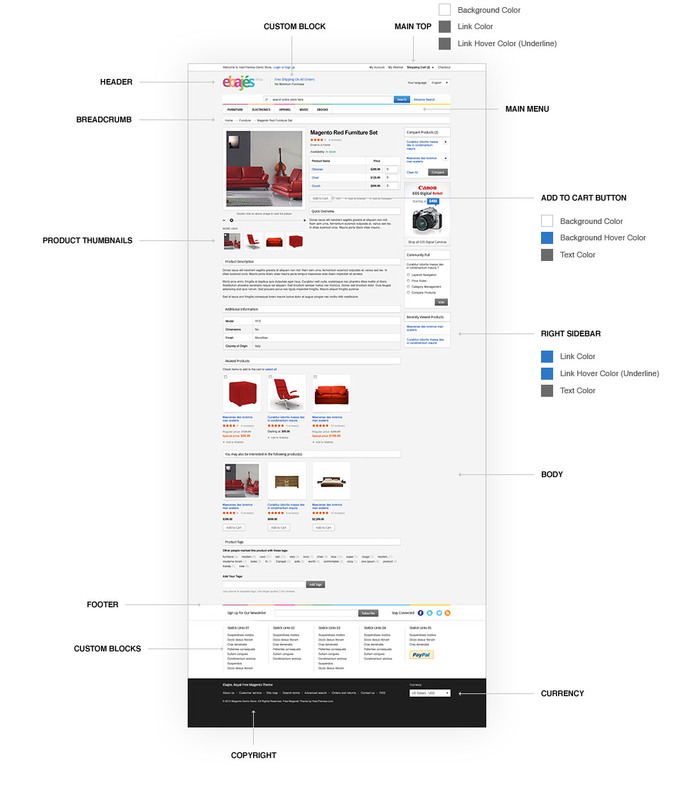 Compatibility with Responsive Design. 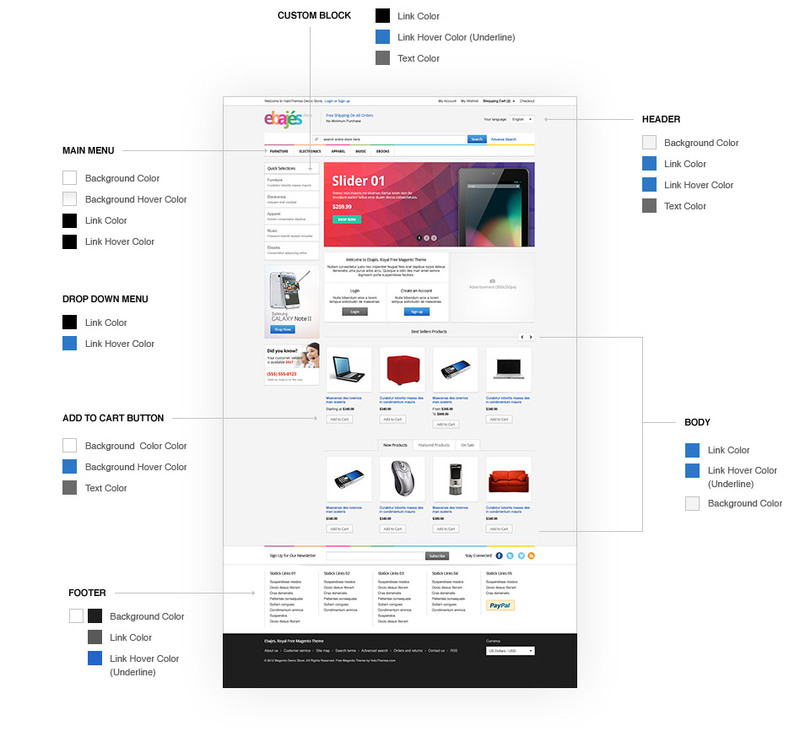 Display Best-Selling, Featured, Sale Off, Latest Reviewed products in certain categories, support sorting, limit number of products, width & height of each item and thumbnail. 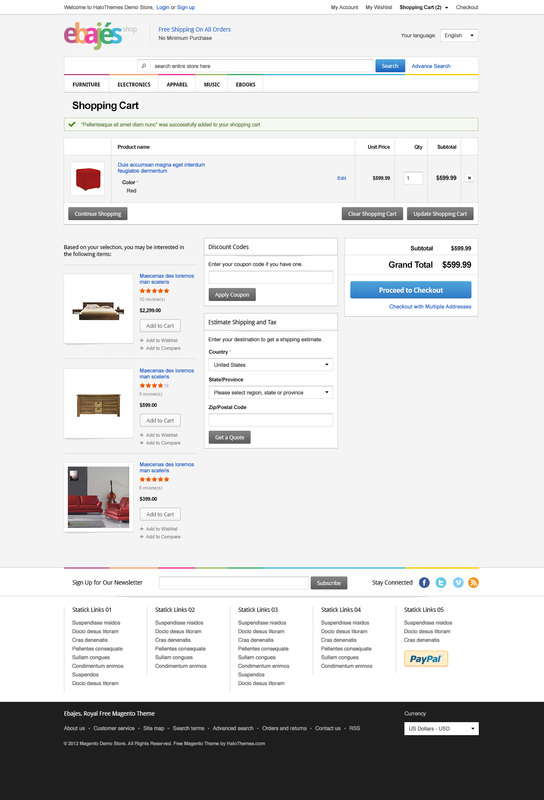 Allow to configure whether to show product title, description, reviews, price, buttons, label or not.